The Urban Redevelopment Authority’s (URA) flash estimates of the 3rd Quarter 2018 private residential property price index released on Oct 1 showed that Singapore properties were still shining bright said List Sotheby’s International Realty, Singapore (Sotheby’s). Overall, the private residential property price index increased 0.7 points from 149.0 points in 2nd Quarter 2018 to 149.7 points in 3rd Quarter 2018. This represents an increase of 0.5 per cent, compared to the 3.4 per cent increase in the previous quarter. Prices of non-landed private residential properties increased by 1.2 per cent in Core Central Region (CCR), compared to the 0.9 per cent increase in the previous quarter. Prices in the Rest of Central Region (RCR) decreased by 0.8 per cent, after registering an increase of 5.6 per cent in the previous quarter. Prices in Outside Central Region (OCR) increased by 0.1 per cent, after registering a 3.0 per cent increase in the previous quarter. URA’s flash estimates are compiled based on transaction prices given in contracts submitted for stamp duty payment and data on units sold by developers up till mid-September. The statistics will be updated on 26 October 2018 when URA releases its full set of real estate statistics for 3rd Quarter 2018. Past data have shown that the difference between the quarterly price changes indicated by the flash estimate and the actual price changes could be significant when the change is small. 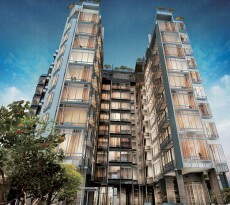 URA advised the public to interpret the property price index flash estimates with caution. Sotheby’s said that the increase of 0.5 per cent in the overall private residential property index shows that the market is resilient and that there is sufficient appetite from serious buyers who are likely to be first time buyers or Permanent Residents less affected by the cooling measures. Sotheby’s noted that the greatest impact was seen in the Rest of Central Region (RCR), where prices fell by 0.8 per cent, which is a large contrast to the increase of 5.6 per cent in the previous quarter. 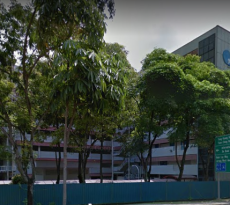 Sotheby’s explained that the price fall for Singapore properties was due to the relatively lower price points of new projects launched in the third quarter. Another report, the UBS Global Real Estate Bubble Index 2018 report, said Singapore is one of its study’s few cities whose housing affordability has improved over the past decade. Commenting on the Q3 proeprty price index, JLL said that a trend of price moderation can be seen in 3Q18 due to the effects of the cooling measures that were imposed in early July. 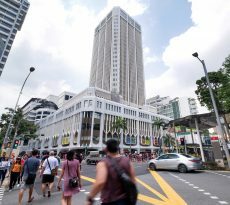 JLL said that most prime district buyers of Singapore properties had to explore opportunities in the secondary market, which accounted for 76 per cent of CCR transactions in 3Q18 (based on caveats in URA Realis to-date), driving up secondary market median price from $1,838 psf in 2Q18 to $1,919 psf in the third quarter. If you want to buy Singapore properties but are ensure of funds availability for purchase, our mortgage consultants at iCompareLoan can set you up on a path that can get you a home loan in a quick and seamless manner.